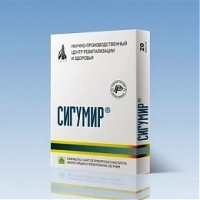 Sigumir contains 20 mg of cartilage peptide bioregulators. "Sigumir® is a peptide bioregulator isolated from the cartilage to help regulate the cartilage and bone. Clinical studies reveal the efficiency of Sigumir to help restore the complex functions of the cartilage that may otherwise lead to joint and spine function disorders. Better than stem cells for the pineal gland? Better than stem cells for the thyroid gland?